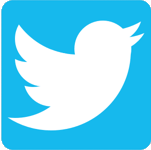 The 7th session of the Intergovernmental Science-Policy Platform on Biodiversity and Ecosystem Services (IPBES) Plenary, is to take place from 29 April to 4 May 2019, in Paris, France. South African delegation to the IPBES7 Plenary comprises of delegates from SANParks, SANBI and officials from the DEA. 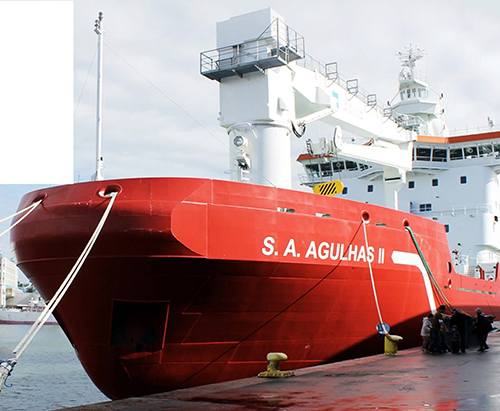 The Department of Environmental Affairs (DEA) will bid the SA Agulhas II farewell, as she departs for Marion Island on Thursday, 12 April 2019, at the East Pier Quay, V & A Waterfront Cape Town. On the 22 March 2019, Minister Nomvula Mokonyane adopted the Integrated Environmental Management Plan (IEMP) for the Square Kilometre Array (SKA) (Phase 1) as an environmental management instrument, based on the adopted instrument, the Minister excluded the National Research Foundation from the requirement to obtain environmental authorisation. The public is invited to nominate high-level panel of experts to function as Advisory Committee, to review existing policies, legislation and practices related to management, breeding, hunting, trade and handling of elephant, lion, leopard and rhinoceros. The Panel of Experts will also review the implementation of the recommendations in relation to CITES. 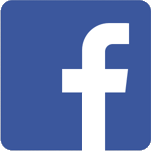 Any person who wishes to submit representations or comments in connection with the South African Water Quality Guidelines for Coastal Marine Waters - Natural Environment and Mariculture Use is invited to do so within 30 calendar days from the date of the publication of this notice. Continued call to participate in Good Green Deeds programme. The programme includes the use of clean technology in all sectors of the economy. Minister Mokonyane continues to call on all South Africans to participate in various Good Green Deeds activities in their communities. In the coming week, a number of clean-up activities have been scheduled to take place. Register with Waste Bureau for supply of waste tyres. DEA wishes to make tyres available to persons or companies who are in good standing with the state and who will use the tyres to advance objectives of DEA viz. recycling and reuse in a manner that does not harm environment. Relevant waste tyre processors, pre-processors, secondary industries, and exportersare called on to register with Waste Bureau for supply of waste tyres. Minister Mokonyane moves to address concerns on captive lion breeding and associated trade activities. Minister Mokonyane met with the National Council of Societies for the Prevention of Cruelty to Animals (NSPCA) together with the South African Predators Association (SAPA) in an attempt to find consensus on concerns around the breeding and welfare of lions in captivity as well as the trade in lion bones. 16 April 2019 - The Department of Environmental Affairs has welcomed the arrest of two men who were allegedly involved in smuggling 180 rhino horn weighing a total of 150kg to South East Asia. Without the cooperation and collaboration of the general public, South Africa will not be able to win the battle against rhino poaching and the smuggling of rhino horn. 10 April 2019 - The Department of Environmental Affairs (DEA) will bid the SA Agulhas II farewell, as she departs for Marion Island on Thursday, 11 April 2019, at the East Pier Quay, V & A Waterfront Cape Town. 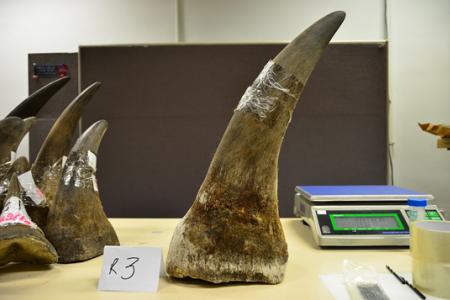 09 April 2019 - The Department of Environmental Affairs has welcomed the confiscation of rhino horn valued at an estimated R29 million by Hong Kong customs officials. 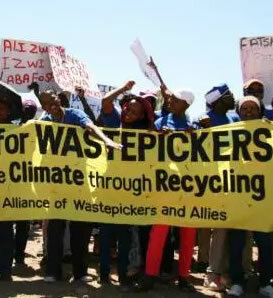 05 April 2019 - The Department of Environmental Affairs, in partnership with the Department of Science and Technology will host the National Waste Pickers Integration Workshop in Pretoria. Waste pickers collect 80 - 90% of post-consumer packaging and paper recycled in South Africa and save municipalities up to R750 million in landfill airspace each year. 05 April 2019 - The Department of Environmental Affairs has welcomed the sentence handed down to three members of the Ndlovu Gang, by the Makhanda High Court in the Eastern Cape. The sentencing of all the three men to 25 years imprisonment each for 13 rhino poaching incidents in which 22 rhino were killed in the Eastern Cape over a period of five years is welcomed, particularly after the lengthy trial. The appointment of a service provider to outsource the management, operating and maintenance services of three Messerschmitt-Bolkow-Blohm BO 105 helicopters.